How do I assign courses to only select learners? Step 1: When you log in to your account, on the homepage click "Users." Step 2: On the page that loads up, click on "Users." 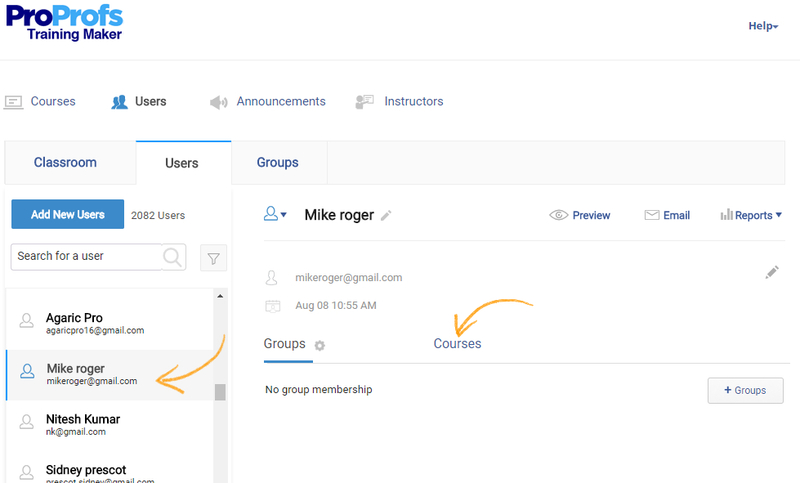 Step 3: Under the "Users" tab, from the list of users choose a user to assign courses. You can find a user either by scrolling through the user list or by searching for a particular user through the search box. After selecting the user, click on the "Courses" button. Step 4: You can see the courses already assigned to the user. You can assign more courses by clicking the "+Courses" button. Step 5: A pop-up window will appear, you can assign more courses to the selected user by checking the empty boxes. 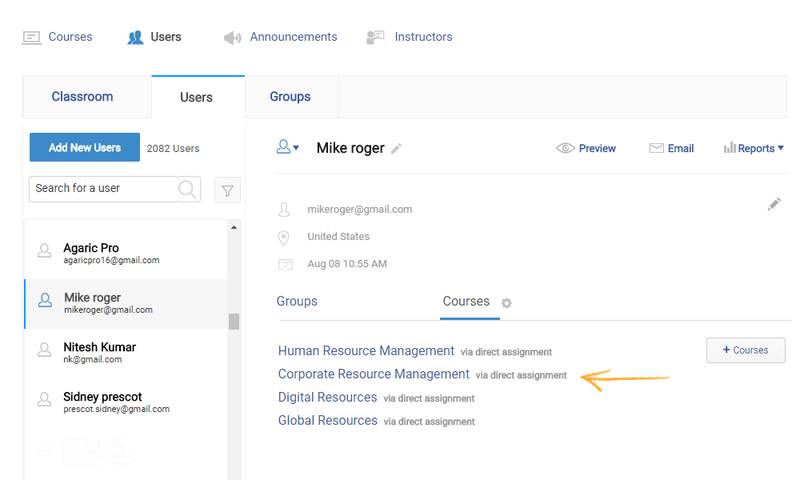 You can find courses to assign by scrolling through the course list, or you can simply search for a course through the search box. 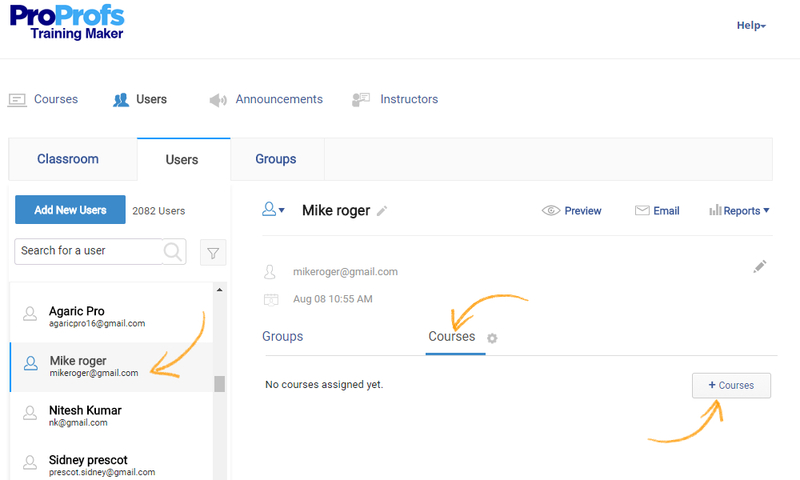 When you have assigned courses, click "Save" to save the changes. 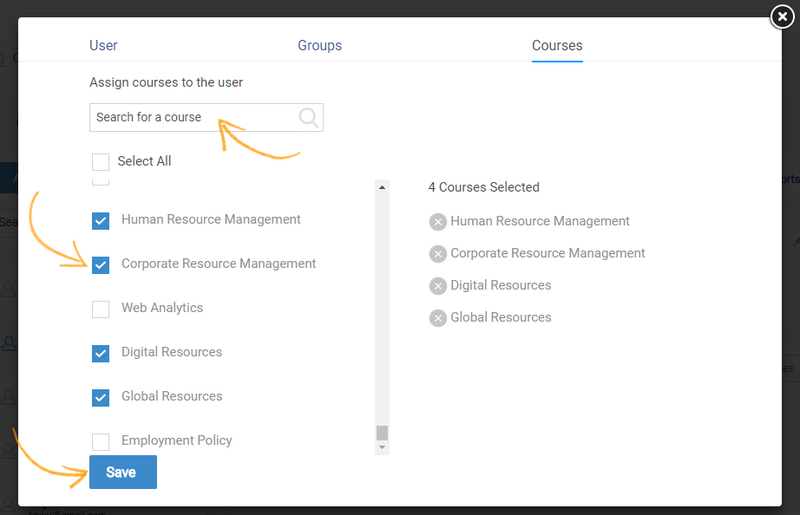 Step 6: When you close the pop-up window, you will see the assigned courses for the selected user under the "Courses" tab. How do I tell learners to find and take my course?